Prince Joseph Tomoonh-Garlodeyh Gbaba, Sr., Ed. D.
Dr. Joe Gbaba began his career as an artist/scholar with more than thirty-eight years of experience in playwriting, directing, acting, and teaching in Liberia, West Africa. He was also an advocate of social justice and child welfare on the continent of Africa and here in the United States of America where he works as Social Work Services Manager, II with the Department of Human Services in Philadelphia, Pennsylvania, since 2003. Dr. Gbaba was born in the City of Monrovia, Montserrado County, Liberia, unto the union of Princess Martha Gbeh-Nyennonh-Garh Gaye and Prince Jack Tomoonh-Yeleyon Gbaba more than five decades ago. Both his parents are descendants of the royal household of the Nien Dynasty of Krahn kings from the Tchien Krahn subgroup of Liberia. He began his early education at the Barracks Union School under the tutorship of Mrs. Anna Wisnant and Mrs. Margaret Koffa. Later Dr. Gbaba enrolled at the Daniel E. Howard Elementary School on Sekou Toure Avenue in Monrovia where he was taught by his beloved elementary school teachers Dolly Bracewell and Mr. Anthony Davies before he matriculated at the Maltilda Newport Elementary School under the instruction of Mr. Joseph Seth in the 6th grade. Upon graduation from elementary school, Dr. Gbaba’s family moved to Zwedru, Grand Gedeh County in 1969. He did his junior high school studies under the rigid discipline of the Society of Missionaries in Africa (SMA) Fathers and the School Sisters of Notre Dame (SSND) at the St. Philomena’s Junior High School and under the guidance of Father Laurier Haines and Sister Helen Reed, respectively. Also, during this period Dr. Gbaba established very strong bonds and interest in learning about his ancestry and Krahn history and culture under the guidance of his aged paternal grandfather, Keh-Gbaba, a traditional Krahn warrior, and his maternal grandfather, Barwoo-Ninneh, head of the Kwi secret society in Kannah, another Krahn subgroup of Liberia. At the end of his three-year stay in Zwedru, Dr. Gbaba enrolled at the prestigious Carroll High School run by Irish and English Christian Brothers of Edmund Rice, located in Grassfield, Yekepa, Nimba County—Liberia. It was here on the peak of Mount Nimba that the playwright and artist/scholar received his calling from God. He also learned to speak and write both English and French through the tutorship of Brother E. D. Egan, an English/Irish scholar/artist who taught the young maestro and pedagogue drama, acting, and playwriting, as well as speech and dialectics. Dr. Gbaba wrote his first play entitled: “Kekula at the end of his course of study at Carroll High School” in 1974. “Kekula” is a play that is based on the integration of Liberians through interethnic marriage between Native and Settler Liberians. It was staged at the Open Door Theatre in Yekepa in 1974 to a packed house. Thereafter, Dr. Gbaba received inspiration from Mrs. Dolly McCritty-Massaquoi who urged the young playwright to continue his good work. Following his graduation from high school, Dr. Gbaba enrolled at the University of Liberia and came in contact with James Roberts (alias Kona Khasu), Togba-Nah Tipoteh (alias Rudolph Roberts), Dew Mason, and Dr. Amos Sawyer, accordingly. Dr. Gbaba worked briefly with the Blamadon Theatre Workshop in 1975 and 1976 before he founded his own theatre company, Dehkontee Artists Theatre, Inc. (DATI) in 1977 at the University of Liberia. Dr. Gbaba’s days at the University of Liberia constitute some of his most creative days as a controversial playwright and dramatist. He affiliated with the Student Unification Party (SUP) of the University of Liberia and he wrote socio-political dramas, poems, satires, such as “Watta Police,” “No More Hard Times,” “Chains of Apartheid,” “Zon Ninneh Taryee,” “Yah” (“Vision”), and the “The Disappointed God-ma”, among others. He also affiliated with progressive groups, such as the Movement for Justice in Africa (MOJA) and wrote dramas that depicted the suffering of the Liberian masses, as well as other peoples on the continent of Africa. Further, Dr. Gbaba and his Dehkontee Artists Theatre dominated the dramatic stage while he was studying at the University of Liberia because the organization consisted of some of Liberia’s golden talents, such as: Henrique Zobon Scott; Joshua Howard, Kathy Lokko, Josephine Gibson, Jestina Gibson, Josephine Ross, William N. Ross, III, Claude E. Langley, James Francis Clarke, Jr., Sonia Tubman, Nathaniel Doe, Stephen Crayton, Jr., Raymond Kromah, Herbert Elliott, Blidi Elliott, Nyema Elliott, Prince Dossler, Lawrence Sharpe, Joseph Butler, Calvin Harris, Anthony Vaskina, and the list goes on and on. Also, Dr. Gbaba and his thespians are credited with staging several Executive Mansion and State House performances for the President of Liberia, William R. Tolbert, Jr., General Fred Akkuffu of Ghana, and First Vice President of Sierra Leone, S. I. Koroma, including but not limited to command performances for all diplomats accredited near Monrovia between the years 1977-1979. During this period in the life of the playwright, he met two very important Liberian scholars and artists that made a great impact on his career as a writer and educator: the late Honorable Bai T. Moore (Liberia’s cultural guru) and the renowned Liberian feminist and politician, Congresswoman Malinda Jackson-Parker (“Cousin Mosquito”). The Congresswoman introduced and recommended Dr. Gbaba to Bai T. Moore and then from that time Dr. Gbaba worked with Bai T. Moore at the Ministry of Information, Cultural Affairs and Tourism as a cadet. Most of the time, Bai T. Moore tutored Dr. Gbaba about the diverse cultures of Liberia and he also encouraged the playwright to pursue a professional career in theatre (directing and acting) by writing a letter of recommendation on behalf of Dr. Gbaba to the Graduate School of Arts and Sciences at the University of North Carolina at Greensboro in the early 1980s. Bai T. Moore also introduced the young playwright to Old Man Tankaba Jankaba and some famous Liberian folklorists the likes of Peter “Flomo” Ballad, “Nimba Bird,” Fatou Gayflor, Boimah NGabla, Sando Holta, Alley McCauley, “Kpar-gbor,”and many others at the National Cultural Center. Furthermore, Dr. Gbaba was also greatly influenced to pursue an advanced degree in theatre by Dr. McKinley A. Deshield, Jr. He served as Dean of the College of Agriculture and Forestry at the University of Liberia and as a sponsor of Dehkontee Artists Theatre, Inc. while Dr. Gbaba was studying at the University of Liberia. Subsequently, Dr. Gbaba received his Bachelor of Arts degree in English in 1980 and then matriculated at the University of North Carolina at Greensboro in 1981. Dr. Gbaba earned a Master of Fine Arts degree in theatre in 1983 and then returned to Liberia to get married to Mrs. Ariminta H. Porte-Gbaba, in the gorgeous city of Gbarnga, Bong County. Joe and Ariminta have been married twenty-nine years now! The Gbabas briefly set up home in Monrovia when Dr. Gbaba worked for a year at the then Bureau of Culture and Tourism as Special Assistant to the Director-General for Culture and Tourism, Mr. Jallah K. K. Kamara, before taking up a teaching job at Cutting University College (now Cuttington University) as a lecturer in the Humanities Division. Dr. Gbaba taught courses in English Composition, Literature, Shakespeare, Drama, and served as Director of the Cuttington University Players. In this light, Dr. Gbaba has profound memories of his Cuttington days because he worked along with some of the brightest Liberian and international scholars, the likes of the President of the College, Dr. Stephen Yekeson, the Dean of Academic Affairs, Dr. Willaim Saa Salifu, Dr. Eric Wongo, Chair of the Humanities Division, Dr. Saame Naame, head of the Department of Social Sciences, former Liberian Ambassador to the United States, Dr. Joseph Saye Guannu and former Liberian Ambassador to the Soviet Union, Ambassador Pettiquoi . These individuals helped to promote Dr. Gbaba’s work and they provided professional guidance to help him succeed in his teaching and artistic career. In addition, Dr. Gbaba credits the students of Cuttington and the University of Liberia for promoting his work nationally and internationally and they nicked named him “Uncle Joe” and “Chop-Chop,”respectively, due to Dr. Gbaba’s affection for young people. Also, during his tenure as lecturer at Cuttington University College, Dr. Gbaba had the opportunity to work with renowned Kpelle artists in the region, including the famous Jokpankpan of Senyei, Bong County. Dr. Gbaba and Jokpankpan collaborated in his “The Minstrel’s Tales” in which Jokpankpan produced the background music and Bushuben Keita played the role of the minstrel in the drama. Dr. Gbaba also staged his famous South African play, “Chains of Apartheid” under the aegis of Cuttington University College and all his productions were a booming success! Following his tenure at Cuttington, Dr. Gbaba was appointed Principal of the Zwedru Multilateral High School by the Minister of Education, E. Othello Gongar. As an administrator, Dr. Gbaba revamped the rundown public high school and he engaged the faculty and student body in promoting quality education for Liberian children in rural Liberia. Dr. Gbaba also organized the Zwedru Multilateral High School Dramatic Club and he wrote and produced “Yah” (“Vision”) that was staged at the Relda Theatre in Monrovia in 1988 to a packed audience. Again, the crafty scholar/artist worked along with some famous traditional Krahn musicians the likes of Bah-Beh, Gaya-Ninneh, Gaye-bah-Paboo and he brought two traditional Krahn dance masks “Zahjay” and “Vorpen” to Monrovia in order to conduct a two week Krahn cultural festival. Dr. Gbaba’s main purpose for collaborating with local artists was to bridge the line of communication between school and home and to gradually intersperse traditional Liberian culture and history into the school curricula of Liberia. Shortly before the outbreak of the Liberian Civil War, Dr. Gbaba represented the Government of Liberia at the Organization of African Unity (OAU) now called African Union (AU) Conference of Communication Experts in Abeokota, Nigeria, in 1989. Later, Dr. Gbaba was transferred to the Curriculum and Textbook Division of the Ministry of Education while he also taught Literature and Composition at the University of Liberia as an adjunct lecturer. Dr. Gbaba’s students at the University of Liberia affectionately called him “Chop-Chop!” However, it was not too long afterward that a full blown war broke out in Monrovia, the capital city of Liberia. Shortly after a ceasefire agreement was reached among parties to the conflict in Liberia, an interim Government of National Unity (IGNU) was formed to revive the socio-cultural and political structures of Liberia. In this light, Dr. Gbaba briefly served as Acting Deputy Minister of Culture and Tourism of Liberia before going into private practice as a consultant with several United Nations (UN) organizations. Against this backdrop, Dr. Gbaba used his expertise as a consultant during the period of civil unrest in Liberia in order to promote peace education, conflict resolution, civic education and public health programs in collaboration with the UN Department of Peacekeeping Mission in Liberia (UNOMIL), the World Health Organization (WHO), and the United Nations Children’s Educational Fund (UNICEF). He produced and directed radio dramas, live theatrical performances, and taught conflict resolution techniques in schools during the period of warfare in Liberia. His theatre company,Dehkontee Artists Theatre, Inc. (DATI), served as a non-profit implementing agency. DATI also collaborated with the Christian Health Association of Liberia to stage a year long radio drama series entitled: “Road to Recovery.” It was centered on peace, healing, and reconciliation and it helped traumatized Liberian victims regain some degree of sanity immediately following the cessation of hostilities in 1992. In addition, Dr. Gbaba worked with the National Elections Commission in 1997 as a consultant in the Civic Education Section before coming into exile in the United States of America in the same year due to threat of life and ethnic cleansing. Consequently, Dr. Gbaba defected to the United States to seek political asylum and to seek derivative asylum status for his wife and five children who were stranded in war zone in Liberia. They later joined him after asylum was granted. Here in the U. S., Dr. Gbaba has worked odd jobs as an Assistant Manager of the Parkway Parking Garage, Therapeutic Staff Support (TSS) and as a Mental Health Worker, III with various local agencies in the Philadelphia area for many years in order to bring his family over to the United States. Dr. Gbaba also worked with the School District of Philadelphia as a Special Education teacher in a learning support classroom for about two years in violent prone environments in Philadelphia before he was employed at the Department of Human Services as Social Work Services Manager, II. During this period Dr. Gbaba enrolled at the prestigious Jesuit institution, St. Joseph’s University, where he earned a Master of Science degree in Elementary and Special Education in 2002 and a Doctor of Education degree in Educational Leadership in 2009, respectively. Joseph Tomoonh-Garlodeyh Gbaba, Sr., B. A., M. F. A., M. Sc. Ed., Ed. D.
The title of Dr. Gbaba’s doctoral dissertation is: The Chiandeh Afrocentric Curriculum and Textbook Experience: Exploring Children’s Responses to an Afrocentric Curriculum. The Chiandeh study is a qualitative Afrocentric research project that uses several postmodern theoretical lenses (i.e., constructivism, ideological literacy model, transactional theory, multiliteracies, and multicultural concepts) along with the educational and philosophical arguments of Molefi Kete Asante (1980, 1991, 1992), Carter G. Woodson (1938), W.E.B. DuBois (1908), Marcus Garvey (1977), Maulana Karenga (1990), and many others, to investigate two research questions: (1) What ways do children respond to the Chiandeh project, and (2) How does the Chiandeh project shape children’s cultural esteem? The Chiandeh project centers African American children in their own ancestry to enhance their cultural esteem and learning, and specifically highlights the term “cultural esteem” and the lack thereof by many Blacks as an important issue affecting Black children’s learning in our classrooms due to the monolithic Euro-centered curriculum that drives their instruction. It advocates the use of African-centered materials in mainstream curricula to provide children with equity pedagogy and equality of educational opportunities, and to combat the negative stereotypes about Africa in most American published materials and textbooks. The study revealed that when African American children were centered in their own history and culture, they exhibited more interest in literacy projects involving Afrocentric content; they displayed awareness of certain Afrocentric values and exhibited greater affinity for their ancestry, and ultimately developed self-awareness. “Krahn Mahnuanh” is an unpublished research-based history book on the Krahn ethnic group of Liberia. It is a qualitative research project in which the author interviewed and gathered information from prominent Krahn citizens of Liberia, some of whom were descendants of Krahn kings and royalties. Participants of the Krahn Mahnuanh project included Prince Robert Wrighyee-Zarbay Flahn, grandson of King Bardway-Jaylah, Princess Martha Gbeh-Nyennonh- Garh (the author’s mother), Prince Jack Tomoonh Yeleyon Gbaba (author’s father), both of whom were descendants of the royal household of the Nien Dynasty, Bai M. Gbala, son of a famous Krahn/Kannah leader named Kwiya Gbala, and Prince Joseph Quaye, grandson of legendary Krahn leader named Grearh-Gbarbo. Apart from the historical and cultural perspectives of the Krahn Mahnuanh research project, it also provides very rich African narratives of how the Krahns migrated from East Africa to West Africa. It features some legendary Krahn leaders and the mysterious events that occurred in the lives of the Krahn people overtime. 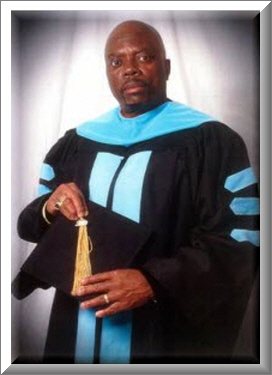 Since the completion of his doctoral studies, Dr. Gbaba has self-authored three books: The Frogs and Black Snake in Frogsville, Ah-zeo, Ma Garh, and Conflict Resolution and the Concept of Change. 1. The Frogs and Black Snake in Frogsville is based on a folktale about black snake and frogs and how disunity among the frogs caused their own down fall. 2. Ah-zeo, Ma Garh talks about Liberian feminism. It is an acknowledgement of the accomplishments of the author’s mother’s inspirational contribution to his success as a scholar and artist, as well as an acknowledgement of some American mothers Dr. Gbaba has come across since he has been here in the United States of America. 3. Conflict Resolution and the Concept of Change is a narrative about the Liberian Civil War and the author’s own analysis as to how the Liberian conflict can be peacefully resolved. Dr. Gbaba is a Catholic: he is married to Ariminta Henrietta Porte-Gbaba; and he is a father of five children: Julian, Jolynn, Jacques, Joe, Jr., and Jose, and he is grandfather of three grandchildren: Jaeden, Journee Lynn, and Mackenzy. Dr. Gbaba’s hobbies include but are not limited to: sports (playing basketball, ping pong, volley ball, soccer, exercising); education (reading, writing, speaking, conducting training workshops and presenting lectures); culture (acting, directing, producing, playwriting, drawing, singing, dancing, and socialization). 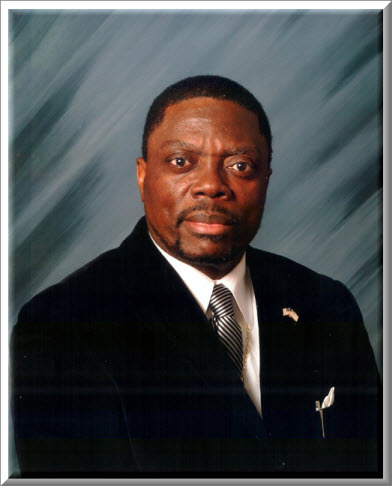 Dr. Gbaba is a member of the Knights of St. John in the Catholic Church and a Master Mason. His Bell Tolled from Heaven’s Aurora Bliss! Rabbi Gbaba Receives Prstigious Archbishop Browne Lifetime Achievement Award! President William Richard Tolbert, Jr., My Mentor and Patron!